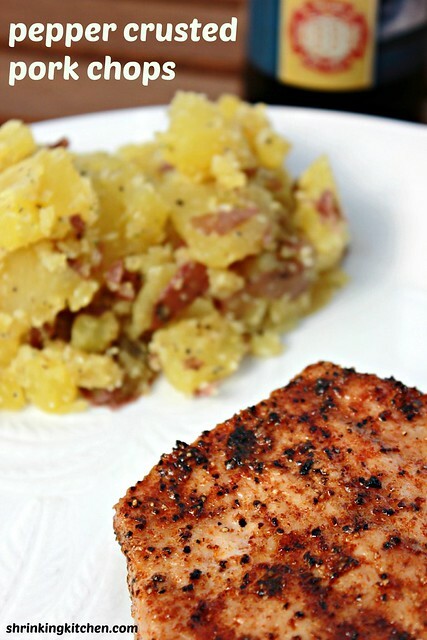 My husband and I came to the conclusion that this may be our favorite way to prepare pork chops; they come out juicy, and full of flavor. We’ve been making pork chops this way for what seems like forever, and we finally wrote down our preparation process. You can use any fresh spices, but I think you’ll be surprised what simple black pepper and sea salt does to quality meat. Offer with smashed red potatoes, or steamed broccoli. Try homemade applesauce for an easy dessert! Combine pepper, salt, paprika, and oil in a small bowl. Place pork chops in bowl, making sure the pork chops are covered with the mixture. Cover, and let stand at least 15 minutes (you can also marinate for about 4 hours, if you choose). Preheat grill (we still love charcoal, but feel free to use gas, or even your oven broiler). Brown pork on both sides, about 6 minutes total. Continue to grill, turning pork occasionally, until cooked through -- about 20 minutes. Serve, and enjoy!